Local farmers setup shop every Tuesday and Friday from 11 am to 6 pm to bring fresh farm produce to the Boston residents. The Copley Square Farmers Market is situated at the corner of Boylston and Dartmouth streets in Copley Square. You will find a broad range of fresh vegetables and high-quality farm meat. 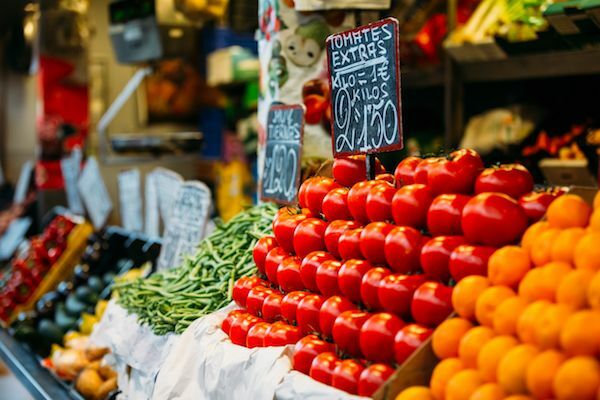 Being located in the heart of Boston, the prices are can be a tad higher than local grocery stores, but you’ll definitely get value for your money. By far, the Copley Square Farmers Market is the largest and perhaps the busiest farmers market in all of Boston. With such traffic of farmers and consumers, you can be sure to find fresh produce every time. Most consumers pass by the market to buy fresh fruits and veggies to supplement their lunch or pack a bag or two to take home for dinner. Sowa Open Market is a diverse market with a wide array of farm products. When you step into the market, the first section is specifically reserved for food trucks and an interesting beer garden, so folks can enjoy their foods from the food trucks and wash it down with a wide selection of local microbrews. The second area hosts the farmers market and you’ll find several food stands with fresh farm produce. There is everything from baked goods, pesto, fruits and vegetables, whole roasted coffee, to pasta and so much more. The third area carries a mix of artisan vendors, recycled/repurposed vintage clothes, hand-crafts, jewelry, pet accessories, baby clothes, etc. The Central Park Square hosts the East Boston Farmers Market every Wednesday from 3 pm to 6.30 pm, running from July to October. Farmers and several other fresh produce vendors line up their produce at Central Park Square, adjacent to the Liberty Shopping Center. The farmers market is more than just a regular grocery shop where you stop to buy green beans or apples. It comes with a whole lot of entertainment featuring local musicians. Everyone can tag along to find something that they will enjoy. Every Monday, consumers walk through the Central Square Farmers market along the Bishop Allen Drive to sample a broad range of fresh farm produce. Farmers arrange their produce from as early as 12 pm to as late as 6pm, so you can pass by during your lunch break or after work to pick your favorite fresh farm produce as you head home. Cambridge has a fairly large assortment of local food vendors that see a substantial customer base. Its ’s wonder that even some local restaurants pitch camp every Monday to sell a variety of prepared food on a scheduled rotation. Consumers flock the Union Square Farmers Market every weekend to enjoy a variety of fresh fruits and veggies. Other than fresh farm produce, you can sample exotic jewelry, mirrors, vintage clothes, and pretty much everything you can think of. At the farmers market, just past the entryway, you’ll find a wide collection of sumptuous foods that you can enjoy as you listen to great live music. As expected, there are lots of fresh veggies, fruits, cheese, fish, meat, and spices. Try out their husk cherry tomatoes, purple peppers, shishito peppers, or any other spice you’ve never tried. An Autumn day in Boston never goes by without having at least one farmers’ market open in Boston. Whether you are in Dorchester, Cambridge, or Copley, there is always a local community that supports farmers, bakers, fishmongers, butchers, and other fresh food vendors. The five farmers markets discussed here should get you started.